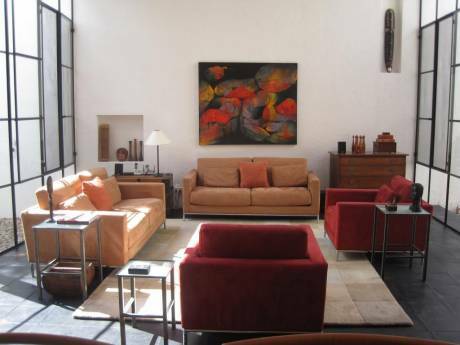 Charming Mexican style house on a quiet cul-de-sac in the historic town of San Miguel de Allende. 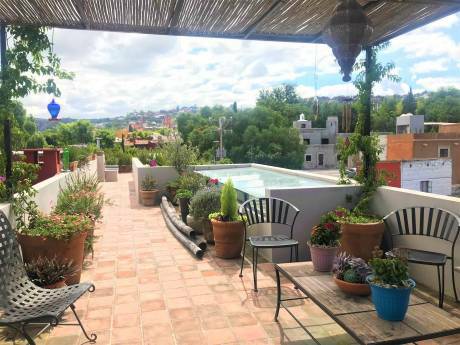 The house is both serene and colorful with 5 levels, two terraces, two bedrooms, two baths, an art studio and roof terrace (where you can see 360 degree view of the city and of the landscape. The kitchen is beautifully tiled with cement counters, small oven and cook top range. 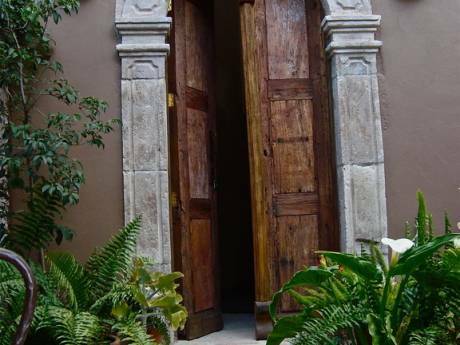 TV, cable and internet service is available The water is potable or bottled water can be delivered. We have maid service for cleaning once a week. Our competent English speaking manager will be available for any problems. We are two retired Buffalo, New Yorkers who fell in love with Mexico six years ago and haven't yet let go. We feel it's a vibrant and interesting culture that we can learn from. I'm and artist and paint or create every visit. The many galleries and antique stores, and the restaurants plus the music, film and theater fill our days. The town is 10 percent Anglo (Canadian and American) with many English speaking Mexicans, so regretfully I don't speak Spanish. We also have an available loft and studio in Buffalo, a great town for artists and neighbors. That's just an hours air time to NYC. We're near the unique Fabrica Aurora, a historic art, antique and design center, and a short walk into the center of town. There are several interesting artists in the neighborhood and the street is quiet, on a hill bordering the Botanical Gardens. Bus service is a short walk away and all transportation is inexpensive. You don't have to walk far to shop at the local flower and produce markets or many of the specialty stores en route. For more on historic San Miguel go the the Smithsonian web site provided.